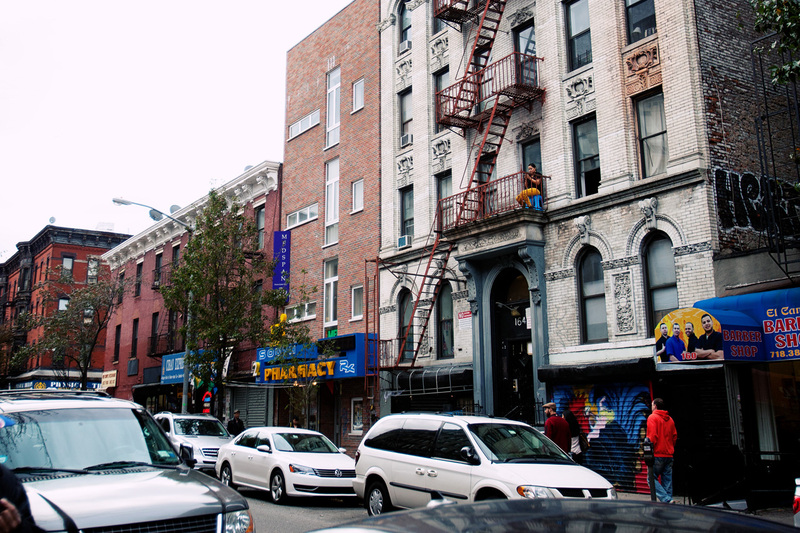 Posts tagged with "interesting people"
Check out my short film about being Trapped in NYC. I walk towards Penn Station, after being unceremoniously dumped along with several other confused passengers at Grand Central by shuttle. While it’s hard to get a sense of how long it’ll take, the grid gives me the courage to continue on foot instead of waiting for a transferring shuttle. I carry screenshots of a map on my phone, which I soon discover is a poor substitute for an actual map when navigating New York. The roads occasionally run in strange directions or skip numbers, and it’s enough to throw off my orientation. Still, the city feels smaller than I thought. So many stories happen here, told in movies and novels and songs, that I’ve always expected it to be a size relative to the dreams people have. This is what F. Scott Fitzgerald must have felt when he climbed the Empire State Building1, saw the limits of the city for the first time from within, and was left “with the awful realization that New York was a city after all and not a universe”. I passed through here many years ago when I was too young to be scared of what could go wrong, and too much in love to care anyway. That journey — on my way to Jersey by bus — was far longer than this one through Toronto by plane. I survived then, that’s how I know I’ll survive this, no matter what happens. There’s someone I want you to meet. He’s a great guy who looks particularly nice in a skinny tie. His deep, smokey eyes seem to slay every woman he meets, and even the ones he hasn’t yet. There’s a strapping masculinity that you like, carried in the angles of his face, but a gentle smile reveals his true personality. He’s intelligent enough to challenge that mind of yours, but so down-to-earth that you’d never feel inadequate. He’s constantly creative and a musical genius, and I know you’d appreciate his work as much as he’d appreciate yours, even if they’re in different mediums. He can let loose and have a great time, but he’s responsible enough to know when to stop. He’s confident, but modest. Funny without being crude or clownish. Thoughtful and kind. Generous with his time, his thoughts, his possessions, and his life. He’s the total package, but most important of all, I know he’d make you happy. And while I’ve always been unbearably jealous when I think of you with anyone else (and maybe I chose him cause I like to think he reminds me of myself), he’s the only guy I wouldn’t mind you being with if it can’t be me, cause it would be such a waste otherwise. The fall is holding out against the winter, trees clutching bright leaves before the chill breaks their grips. It’s wonderfully warm among such colours, and we walk in the valleys of Appalachia to take in the smell of mountain air as rustic hands around us work livestock and soil. In old Aramaic, Damascus means “a well-watered place”, a fitting name as the rain soon grows too heavy to be exploring the tiny town, population 981. It’s slow going in the house of mirth. We’ve been exploring parts of Scotland every day, so we decided to take a day off to watch acclaimed British sitcoms and movies. I’m so happy here. It finally feels like I’m on vacation, as Dennis likes to remind me when I say I shouldn’t eat any more ice cream. Where else does someone keep my dishes delightfully warm in the oven before serving me? Luckily, Dennis is also something of an accomplished keyboard player. Jamming with new people, learning their unique strengths and the sound they can get from their instruments, is always more fun than I can describe. Funny to think that we’d only met once before at Aaron’s wedding five years ago, and kept in touch from across of the pond. Introverts like us never forget those kinds of connections, cause it’s so rare to find a person to whom you can easily talk for hours. He lives the same life I have now, the same life I see myself having many years into the future. Even our cats are alike. 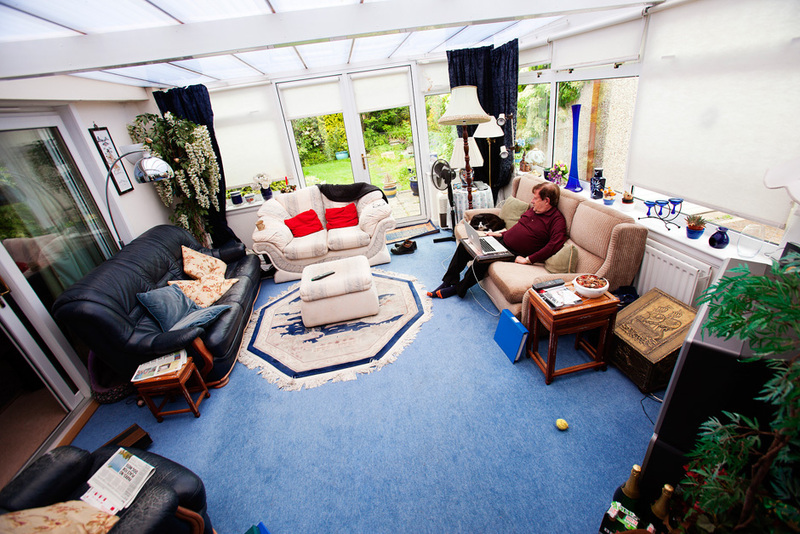 Dennis had this conservatory built as a room where he could lounge during the day. The polycarbonate ceiling lets plenty of light through and keeps the space bright and warm and sunny and I’ve decided that I need a room like this. When the sun sets it can get quite chilly, so then we move to the main room and put the fire on.